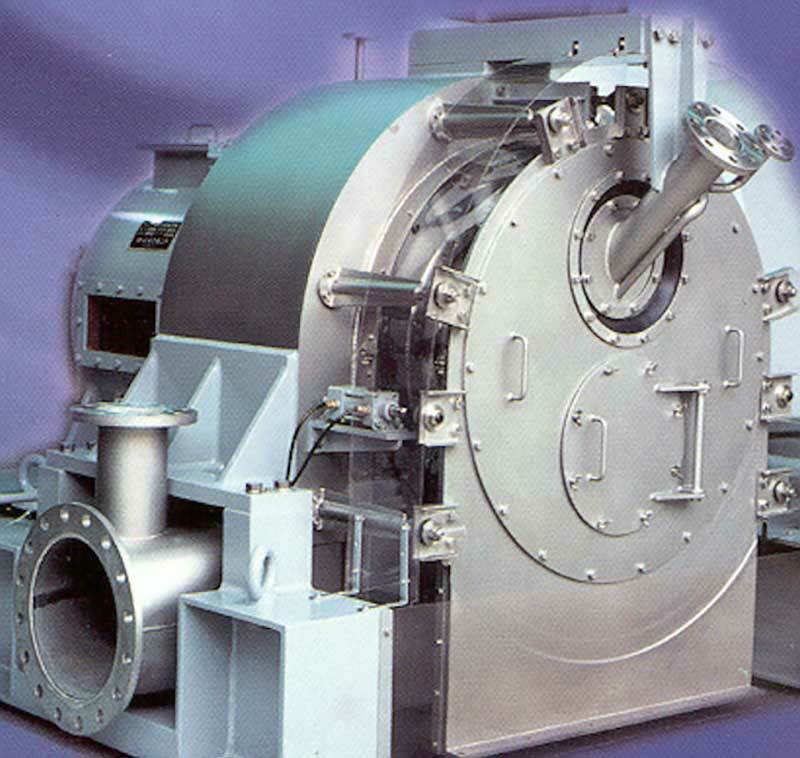 The scroll-screen centrifuge consists of a horizontally driven scroll conveyor, which revolves at an optimum differential speed within a rotating conical basket. 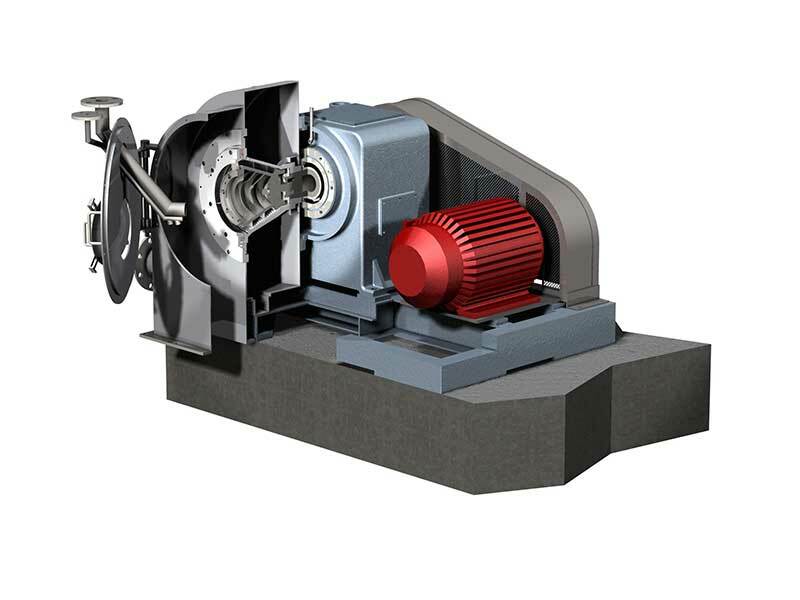 Solids separation from the mother liquor is achieved by the action of a high centrifugal g force, while discharge takes place via the inclination of the basket and the differential speed of the scroll. At the point of separation, solids are conveyed forwards by the scroll to discharge at the widest open-end of the filter basket, with the filtrate passing directly through the screen. Scroll screen centrifuges have an excellent washing capability and can be used for solids-liquid separation involving large-particle feed materials (≥ 50 microns). We can fit our scroll screen machines with automatic scroll speed adjustment to accommodate changing process requirements, thus eliminating operator intervention and process downtime. Our standard machines are manufactured with diameters from 200mm to 800mm to handle feed material of diverse solid:liquid ratios.